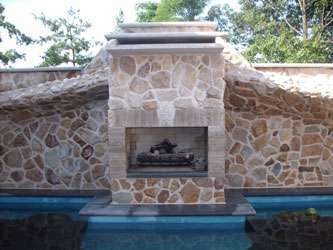 For the totally creative mind, J.C. Masonry works with architectural hardscape and landscape designers. 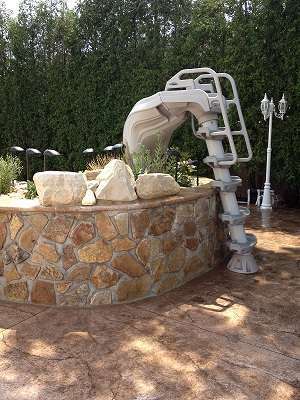 Our designers can handle all aspects of the the design and plan meeting your every need. Hardscapes are an aesthetic and functional implementation into residential and commercial landscapes. Landscaping is never complete without an application of hardscaping. 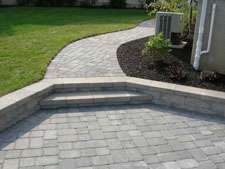 Hardscaping in general consists of retaining walls, paving, steeping stones and edging or curbing. Hardscaping materials range from stone, concrete, brick, natural stone etc. These materials can be applied in a wide variety of ways to enhance and complete your residential landscaping. The possibilities in design, style, applications and installation is endless and only limited by your imagination or the money you are willing to spend on the project. 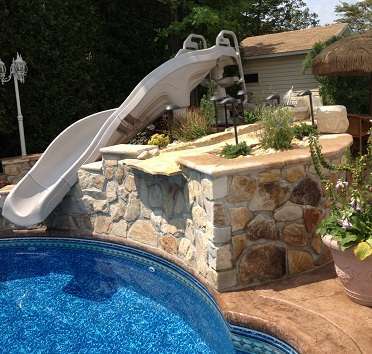 Fabulous features or practical applications can be achieved with hardscapes. Whether the application is a simple stone boulder containing your house number or a large paved patio, hardscapes can help to create an individual setting which helps to increase property price for resale. Columns for Supporting carports and roofs. 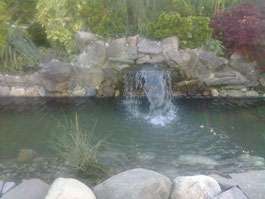 A water feature is one or more items that range from fountains, ponds, cascades, waterfalls, and streams. Modern water features are typically self-contained, meaning that they do not require water to be plumbed in; rather water is recycled from either a pond or a hidden reservoir, also known as a sump. The sump can either be contained within the water feature, or buried underground (in the case of an outdoor water feature). A masonry oven, colloquially known as a brick oven or stone oven, is an oven consisting of a baking chamber made of fireproof brick, concrete, stone, or clay. Though traditionally wood-fired, coal-fired ovens were common in the 19th century and modern masonry ovens are often fired with natural gas or even electricity. 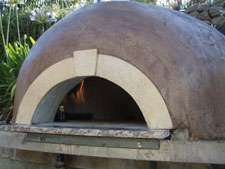 Modern masonry ovens are closely associated with artisanal bread and pizza. Such ovens became popular in the Americas during the colonial era and are still in wide use in artisanal bakeries and pizzerias, as well as some restaurants featuring pizzas and baked dishes. Wood-burning masonry ovens are mandated for production of true Neapolitan pizza. Sitting comfortably with friends or family in the backyard on a cool summer evening, with a warm fire and dinner sizzling on the grill, is pure pleasure. It is also the precise reason why people are turning their yards and decks into inviting outdoor living spaces. In general, the concept encompasses a grilling and eating area, pulled together with a hearth product, such as a fireplace, firepit or chiminea. The outdoor kitchen is similar to indoor kitchens, with expansive counter space and full food preparation areas complete with sinks and plumbing. It's even possible to add a dishwasher and a refrigerator to make trips inside to clean up or grab a cold drink a distant memory. 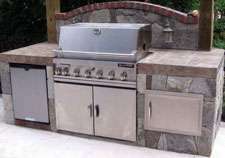 Other outdoor kitchens take the concept further with the addition of pizza ovens, cocktail bars, fountains, trellises, patio heaters, spas and pools. Landscaping, lighting and sculptures are additional elements that can help create a cohesive feeling within an outdoor space.